Concerned about the maintenance involved after you install your saltwater aquarium? Is maintaining your existing aquarium difficult and time consuming? Do not worry, we can help! 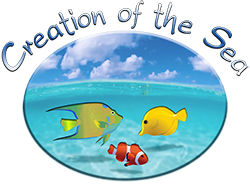 Creation of the Sea offers to maintain every saltwater aquarium the company installs in New Jersey, New York and Connecticut. 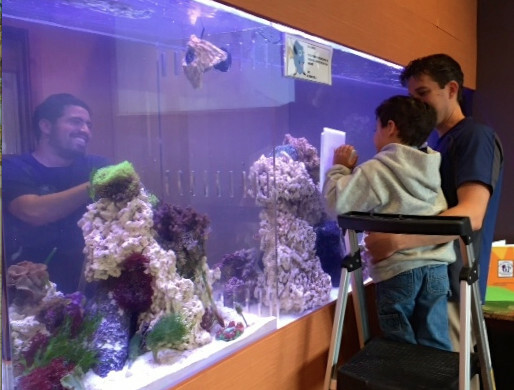 We also can help maintain existing saltwater aquariums that have been installed by other providers, or convert any existing saltwater aquarium filtration system into a “Creation of the Sea all-natural aquarium system”. To learn more, please visit our Aquarium Maintenance web page. Oh, and by the way, your service technician will be a lot bigger than the one shown in this photo!